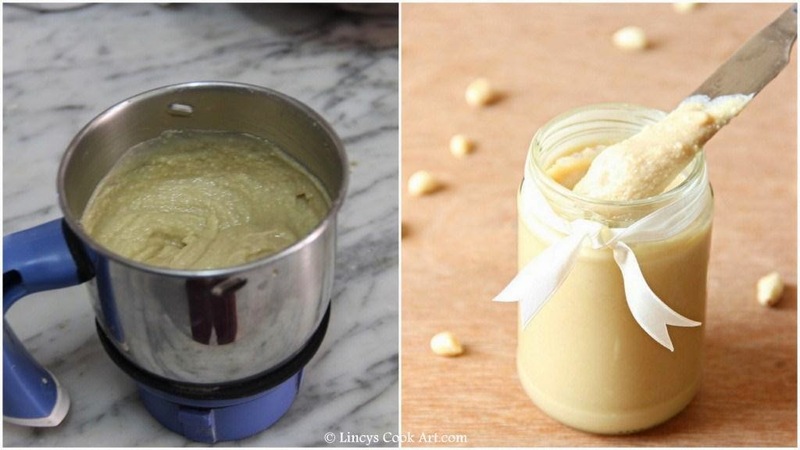 Peanut butter is an easy to make yummy spread. Liked by all age groups. Comes handy for break fast as a spread for any kind of bread. Kids love this nutty spread. Can be made easily in a jiffy at home without any preservatives. I felt home made is more tastier than the store bought ones. You can feel the freshness of the spread from its taste. This spread can be prepared using very limited ingredients that are available in our pantry. Adding Honey in this recipe is optional. Diabetes patients can avoid using it. Using this peanut butter cookies, Blondie like sweets can be made. Roast the peanuts until you get the popping sound of some peanuts and the skin of the peanuts gets light brown colour spots. While roasting toss and mix the nuts for every 15 seconds for even cooking. Or else spread the peanuts in a baking tray lined with aluminium foil and roast them in 180 degree oven foe about 30-40 minutes. Once it reaches 15 minutes toss and mix the nuts and keep for roasting for even cooking. Allow nuts to cool and roughly deskin them. Add the nuts, salt,oil and honey inside the blender and blend till it becomes a smooth paste till you get the peanut butter consistency. Scrape the sides and blend well to get the uniform paste. Transfer the spread on a sterile bottle and close tightly. Add 2 tablespoon of roasted roughly chopped peanuts for chunky Peanut butter. You can keep this spread for a week at room temperature or refrigerate and keep for even a month or more. Colour of the spread depends on the roasted nuts colour. If you roast till dark patches on the surface the spread will be deeper in colour. Recipes using peanut butter Peanut butter banana smoothie. love home made peanut butter going to make some soon. 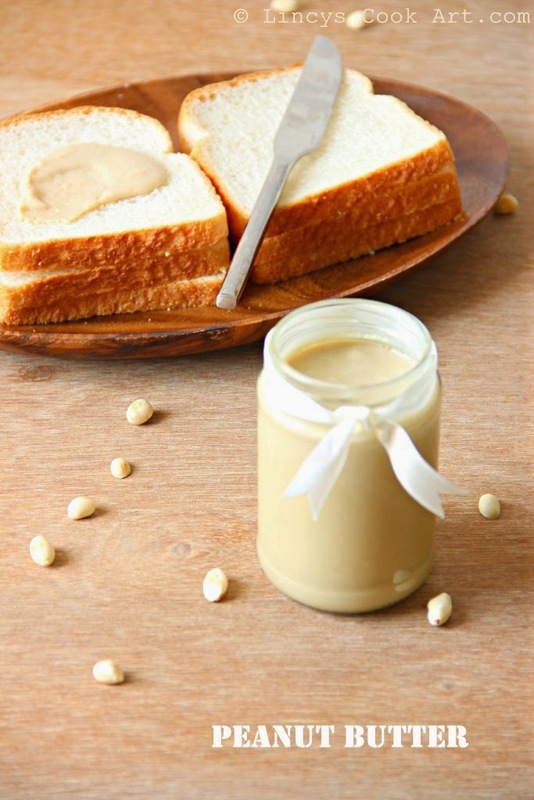 Quick and easy homemade peanut butter!